I would like to introduce you to Laura Mullett. She is a journalist, broadcaster, fashion blogger, stylist and personal shopper extraordinaire. If you are not hearing her on the 2XM airwaves, not seeing her work in the papers or magazines then you will find her on her popular fashion blog, Lipstick Gossip. You will be seeing a lot of Laura on my blog from now on as I have started to work with her a lot recently. 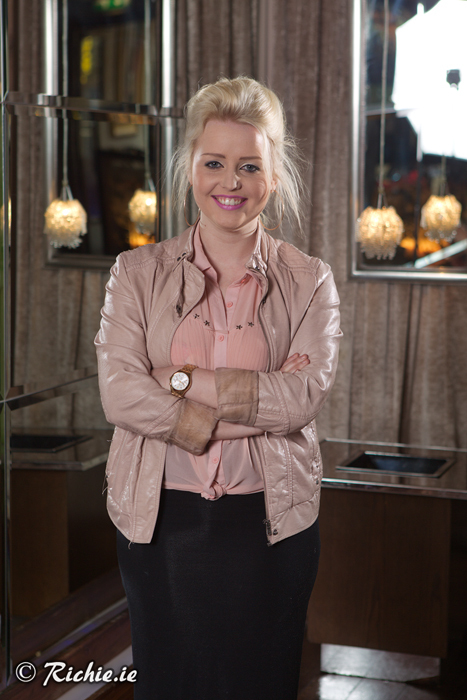 She is a Co. Wexford born, Dublin based stylist. She still has her base in Wexford which is perfect for styling shoots for me as she lives 20 minutes from my studio. Laura is a great stylist. She has access to tons of fantastic shops in both Wexford and Dublin. She never fails to bring loads of cool stuff to a shoot. On top of being a great stylist, she is a lovely, down to earth girl also, which is just as important. The summer shots that you see here were actually for a small street style column that Laura was doing for Xposé magazine. You can read Laura’s account of it over on her own blog here: http://lipstickgossiplady.blogspot.ie/2013/06/i-featured-on-xpose-mag-style-section.html. We shot them around Enniscorthy Town during the Summer.